Shoaib Ahmed in Everyday Politics on 5 December, 2018. An interview with a representative from Logically, a start-up bringing innovative solutions to the misinformation pandemic. I recently sat down with Hugo Williams, an outreach manager for Logically, an exciting new company providing an intelligent news curation platform, designed to identify and expose fake news and misinformation. Find out what the industry-expert had to say below on the very topical subject. Q) Before we come onto the specific objectives behind the creation of Logically, what do you think are the biggest issues at the moment, in regard to media, news and civil discourse? Trust in the news media is at an all-time low. Trust in politicians is at an all-time low. Western democracies are finding themselves becoming increasingly polarised. We find ourselves in an environment where civil discourse is in decline; making it increasingly difficult to talk about contentious issues – political or otherwise. The huge swathes of information we are bombarded with on a daily basis through increased reliance on the internet and the proliferation of social media, means that we are in a position where it is increasingly difficult to discern what information is credible and accurate. This makes us far more susceptible to the spread of misinformation and disinformation online. If left unchecked, it seems unlikely that these trends will reverse any time soon. The difference between misinformation and disinformation simply comes down to intention. Misinformation is false information that has been unintentionally spread or created, while disinformation is false information that has been intentionally spread or created. When we come to the term ‘fake news’ it gets a little more complicated. This term can be applied to a number of different things, from satire and parody, to junk news, poor quality journalism, hyper-partisan content and hoaxes. The term has also become a political rebuff used to shout down any information that is deemed to be critical. 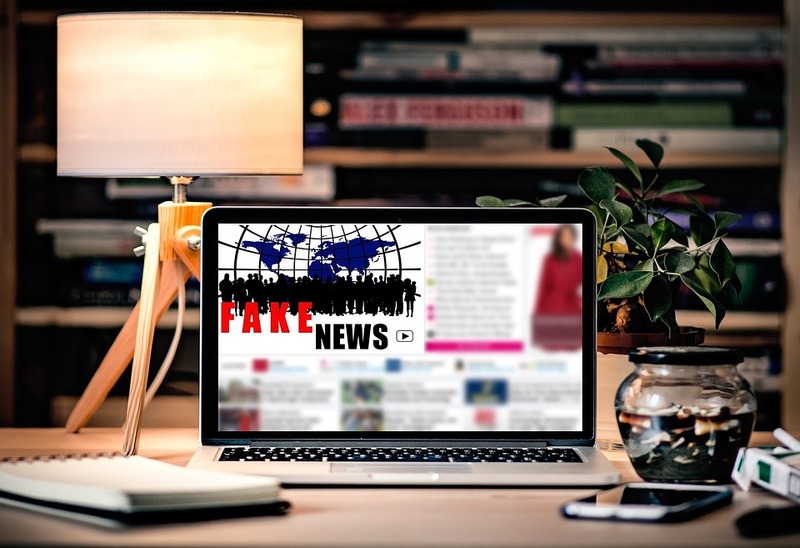 The very fact that it is difficult to nail down exactly what constitutes ‘fake news’ and the fact that it has different meanings to different people means that it is probably best to avoid it altogether and stick to the standard ‘misinformation’ and ‘disinformation’ when discussing these issues. Q) Do you think the problem associated with such phenomena has proliferated over the last few decades? And if so, how and why? Absolutely. Whilst it would be ridiculous to suggest that it is any way a new phenomenon it seems clear that changes in almost every aspect of how we consume and interact with information has exasperated these problems. Advances in digital technology, the prolific use of social media platforms and the sheer scale of information we see every day has reduced our ability to discern what is credible and accurate and what is not. Q) What is Logically and how does it plan to bring new solutions to the problems identified? Logically specialises in producing technological solutions to address emerging problems across the global information ecosystem. We have a heavy focus on machine learning and AI models which can efficiently and insightfully determine the credibility of information. We are a team made up of journalists, developers and data scientists on a mission to build tools which address the spread of misinformation, the decline in trust in the media and the collapse of civil discourse. Q) I am aware of some research that Logically is currently undertaking, describe this a little more. How can students at Durham University get involved? Before we can attempt to solve the problems thrown up by the misinformation ecosystem, we must first do our best to understand them. This means understanding how people perceive today’s information ecology and how they consume and interact with information online. To this end, Logically has commissioned a survey of student’s attitudes to the digital media space and their perceptions of today’s information ecology.